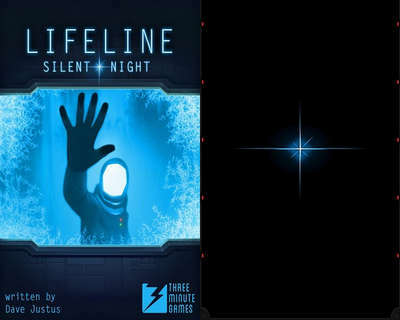 Silent Night, the sequel to the critically-acclaimed Lifeline game has just been released to the Play Store. It has the same setup as its predecessor. You’re messaged from somewhere in outer space by Taylor, the astronaut protagonist of the original game. 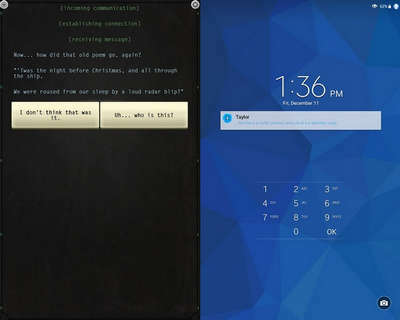 Taylor is back in a suspenseful, new, real-time adventure for Android and Android Wear – Lifeline: Silent Night! Your choices shape the story as you play, and could mean life or death for one intrepid space explorer. -Taylor is back! Continue the story where the original Lifeline left off. - Your choices shape the story as you play. - Lifeline is a deep, immersive story of survival and perseverance, with many possible outcomes. - Internet connection not required. No in-app purchases and no ads.